The Liesl & Co Bistro Dress has been ever so popular as a digital pattern at Backstitch for some time now, so we were delighted to learn that Liesl was bringing it out as a paper pattern version this Spring. The Bistro Dress paper pattern is joined by two equally chic patterns, the Liesl & Co Classic Shirt and the Liesl & Co Soho Shorts & Skirt. The Liesl and Co Bistro Dress pattern is suitable for an improving beginner. It is a semi-fitted sheath dress which is designed to be flattering while also allowing you to move and to be comfortable. It includes a sash and belt loops for a more fitted look, and the pattern includes options for a wide variety of styles. Choose from long sleeves with a notched neckline or short sleeves with a feminine Peter Pan collar. Both dresses include an invisible side zip and can be made lined or unlined. Instructions include detailed information for doing a full-bust adjustment. Suggested fabrics for the Liesl and Co Bistro Dress include medium-weight woven fabrics like denim and canvas, linens, chambray, cotton sateen, twill, duck, and light- to medium-weight wool. The pattern is also available as a digital download from here. The Liesl & Co Classic Shirt sewing pattern, also available from Backstitch as either a paper pattern or as a digital pdf download, is what it says on the pattern envelope! A wardrobe staple, this pattern is both versatile and polished. It’s a timeless style that works well in virtually every season. It features separate pieces for A/B, C, and D cup sizes to allow you to sew a shirt with the perfect fit. And it includes many professional details like separate collar and collar band, tower sleeve placket, and collar and cuff facings. View A includes a separate (set-in) placket and workshirt-style pockets. 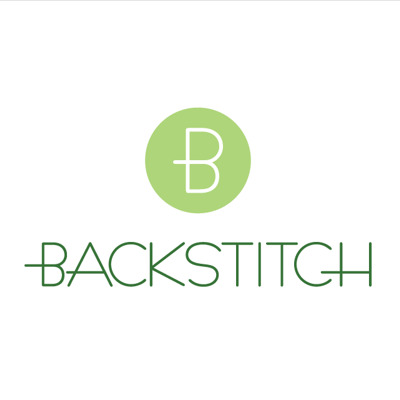 View B features a continuous (cut-on) placket and pleated pockets with concealed button flaps. 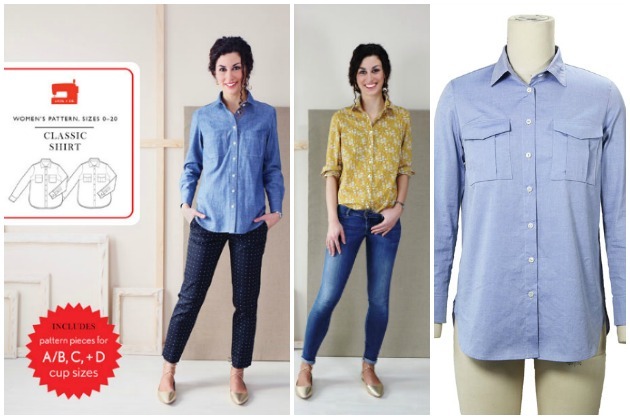 The Liesl & Co Classic Shirt pattern works best with a variety of light- to medium-weight woven fabrics including quilting cotton, voile, lawn, shirting, poplin, broadcloth, denim, linen, and flannel. With warmer weather having made an appearance, it's time to start thinking about skirts and shorts again! 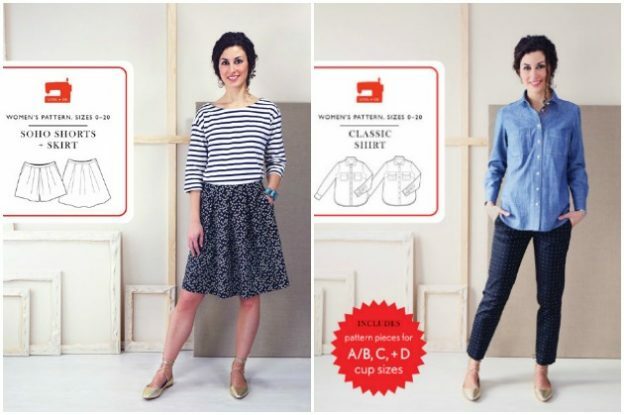 It's time to take a look at the new Liesl & Co SoHo Shorts & Skirt pattern. This stylish pattern will let you make a pair of pleated shorts or a skirt that sits 1" below the natural waist. Both styles include a contour waistband, invisible zip at the side seam, front pockets, and front and back pleats. Depending on your fabric selection and what you wear with it, you can use this pattern to create items that are ready for going to work, for a sporty weekend outdoors, or for a fancy night out. The pattern works best with a variety of woven fabrics including chambray, cotton poplin, corduroy, shirtings, linen, rayon, denim, and wool. Liesl rates the pattern as two out of four scissors in difficulty. The Liesl & Co Shorts and Skirt Sewing pattern is available from Backstitch as either a paper pattern or as a digital pdf download.